Bernard Musgrove met his wife Joan Sylvia Richardson while working in the cinema busines in those days cinema going was extremely popular. He was a movie enthusiast and made comedy shorts some of which survive. 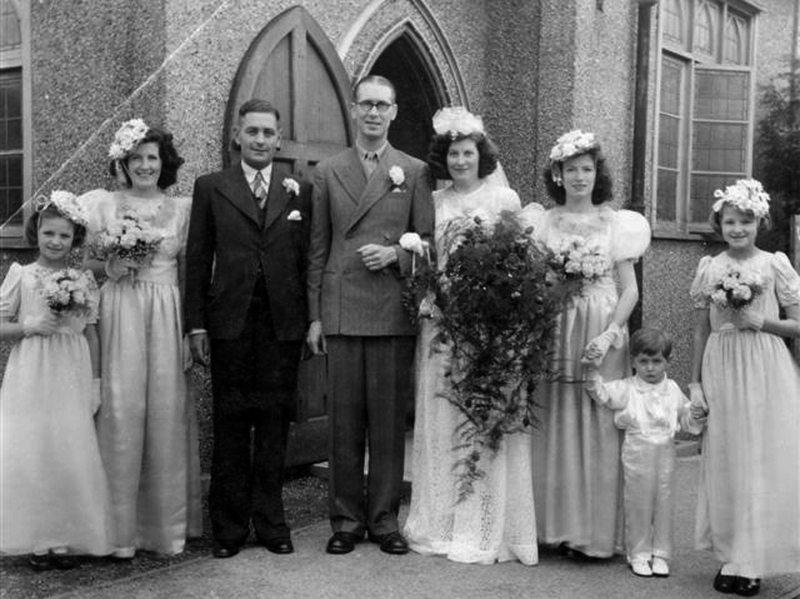 He Married Joan Sylvia Richardson on the Sixteenth of July 1942 in a Catholic ceremony at St Stephens Church Bexley Kent. 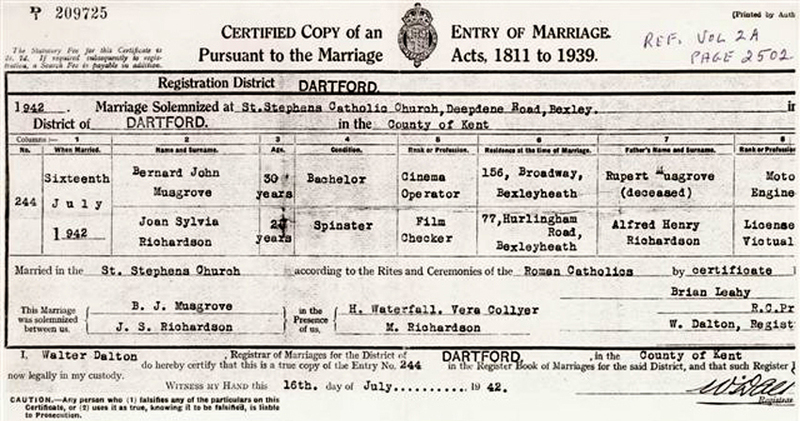 His father Rupert Musgrove is stated as dead on the certificate Ironically thirteen months later unbeknown to him his father Rupert got married for the second time in islington London.